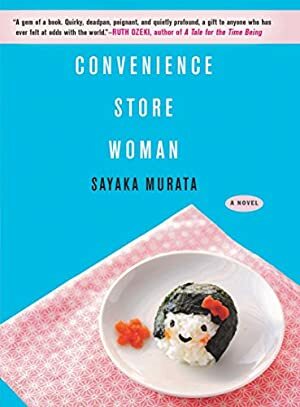 A brilliant depiction of an unusual psyche and a world hidden from view, Convenience Store Woman is an ironic and sharp-eyed look at contemporary work culture and the pressures to conform, as well as a charming and completely fresh portrait of an unforgettable heroine. Track It. This book reaches $9.00 about 8 times a year. Log In to track Sayaka Murata on eReaderIQ. to be notified each time the price drops on any book by Sayaka Murata. to stop tracking Sayaka Murata. Log In to track Ginny Tapley Takemori on eReaderIQ. to be notified each time the price drops on any book by Ginny Tapley Takemori. to stop tracking Ginny Tapley Takemori. We started tracking this book on January 19, 2018. This book was $17.76 when we started tracking it. The price of this book has changed 68 times in the past 454 days. The current price of this book is $12.00 last checked one day ago. This lowest price this book has been offered at in the past 90 days is $11.34. This lowest price this book has been offered at in the past year is $9.00. The lowest price to date was $9.00 last reached on January 12, 2019. This book has been $9.00 11 times since we started tracking it. The highest price to date was $20.22 last reached on February 23, 2018. This book has been $20.22 one time since we started tracking it. We last verified the price of this book about one day ago. At that time, the price was $12.00. This price is subject to change. The price displayed on the Amazon.com website at the time of purchase is the price you will pay for this book. Please confirm the price before making any purchases.